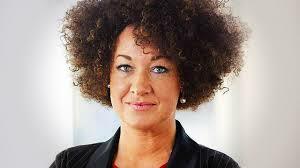 Andrea Smith and Rachel Dolezal….Is Identity Really Important? Anyway, as a college student I took a Women’s Studies class, and was immediately hooked! I decided to add a second major: Women’s Studies. And as a student of Women’s studies I have learned about intersectionality, cultural appropriation, misogyny, identity, etc, etc. In learning about these things I have definitely been influenced by my professors and the writers I read: Linda Nicholson, The Combahee River Collective, Monique Wittig, Raewynn Connell, Audre Lorde, Judith Butler, Patricia Hill Collins, Michael Foucault, and Andrea Smith to name a few. These men and women have definitely shaped and influenced me, but I definitely make up my own mind about things and speak my own truth. So when Rachel Dolezal was “outed” by her parents as not being a black woman, I had thoughts about that. I was upset that this woman took on another identity and claimed it as her own. I totally understand her empathizing with the struggles African Americans have in their everyday lives because of the social constructs we have in this country, and the racism that is embedded in our society. But for her to take on the identity of a black woman was going too far in my opinion. According to the accounts I have read online and watched on TV, she identified as a white girl and was raised by white parents. And as a white woman, after it was revealed she was portraying herself as a woman of color when she wasn’t, she could step back into her white woman’s skin and all of the privilege that entails without missing a beat. If an African American woman was able to “pass” as a white woman, and it was revealed she was actually a woman of color, she would not be able to return to a race with privilege, but instead would have to return to a race that has less privilege, and is replete with racism, even within her own community. For Rachel Dolezal, her critics contend that she has committed cultural appropriation and fraud; her supporters contend that her racial identity is genuine, although not based on biology or ancestry. She states that she is “biracial”, and that she is just trying to match how she feels “internally with how she looks externally”. What bothered me even more than the Rachel Dolezal cultural appropriation was the articles that again started surfacing regarding the questions around Andrea Smith’s heritage. I feel that the controversy surrounding Andrea Smith is different. 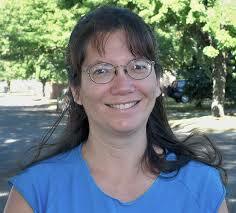 Andrea Smith has always maintained that she is Native American. She was raised believing she is Native American. She was not born to white parents and somehow along the way adopted a different racial identity than the one she was born with. She is not enrolled in a tribe to my knowledge. But enrollment does not prove ancestry. I think that what bothers me the most about the attacks on Andrea Smith is that I have yet to find ANY articles or stories, or papers from the Cherokee Nation that refute Andrea’s claims of Native heritage. And believe me I have searched. Wat I have found is all of the articles by the man who was supposedly hired to “research” her heritage and found nothing. Also by people she supposedly “admitted” he was not truly Native. No one has yet to provide any real documentation such as a birth certificate, or college documents, etc that deny her heritage. With others, those documents were published quickly to “prove” they were not what they claimed to be. If Andrea Smith really is not a Native why is there no “proof” that she isn’t?? So for me I have decided to stick by Andrea Smith, who is by the way an amazing scholar and activist who has helped to found groups such as: Women of All Red Nations, INCITE, and the Boarding School Healing Project. She has written books, articles and lectured all over the country. Here is her statement about the most recent controversy surrounding her race. In the controversy of cultural appropriation I feel Rachel Dolezal is guilty and Andrea Smith is not. At this point nothing will change my mind about that, no matter how many articles I am sent by people to try to change my mind!